For scopes and binoculars etc. 135mm x 80mm buff cloth. 130mm x 195mm red cloth. New in lock seal bag. 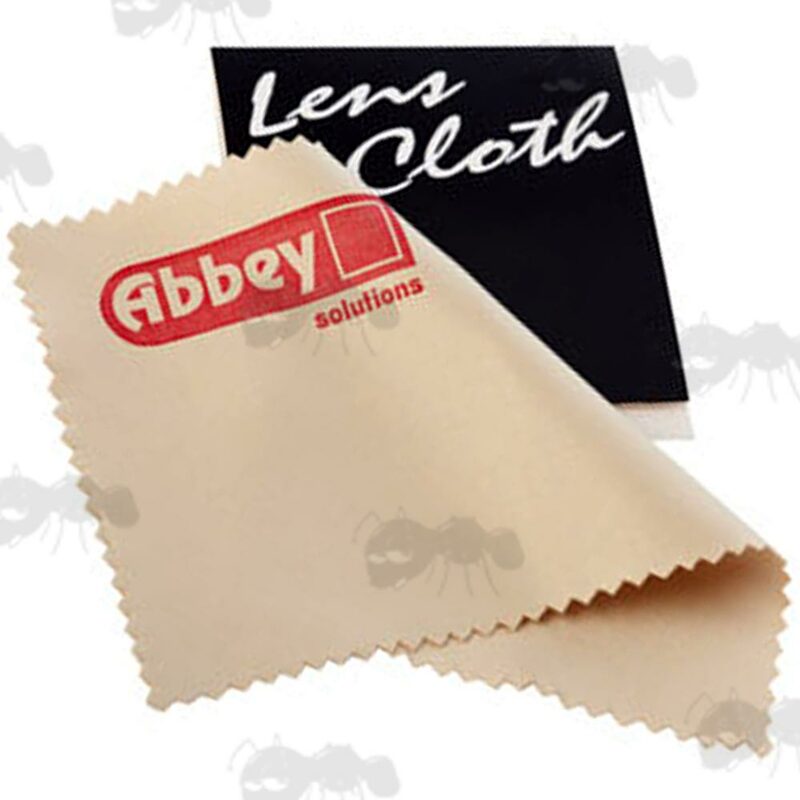 Abbey Lens cloth is made from micro-fibers to gently and effectively clean modern high power scopes. It easily removes dust and other debris to maximise clarity and vision. 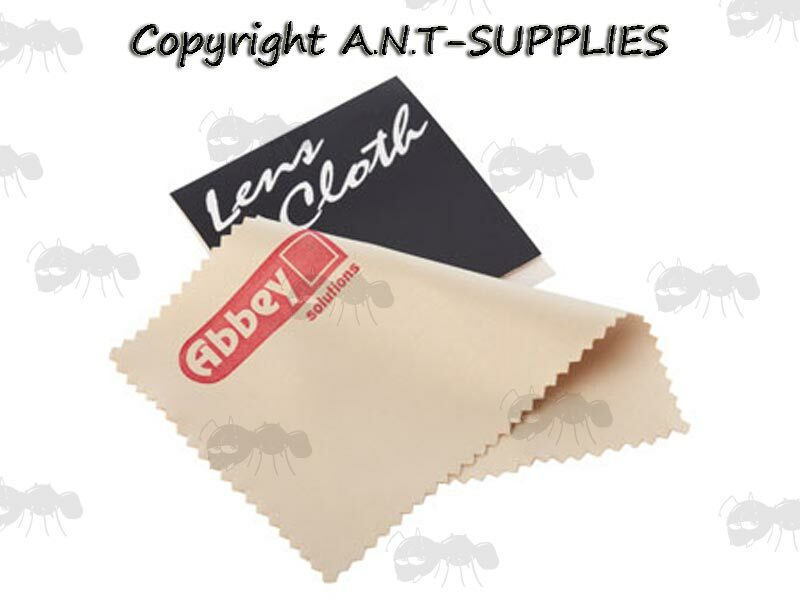 Used with Abbey Lens Cleaner your scopes will be well cared for and pristine. Can be used to clean a range of glass and plastic items including scopes, goggles, reading glasses, glass cabinets and more. For clear vision whatever the conditions. Invisible film gives clear vision in all conditions. Always return your it to it's lock seal bag for maximum life. 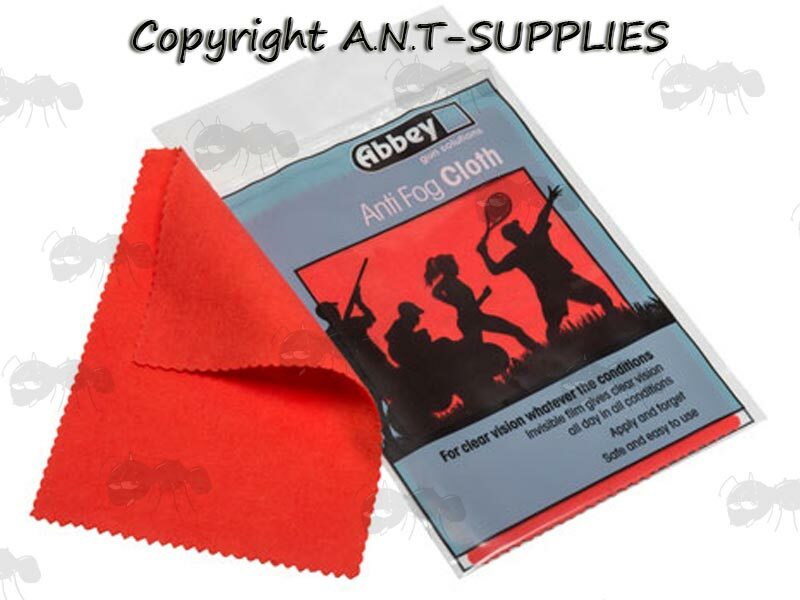 Provides a quick and easy way to remove condensation from googles, visors and scopes. In addition, the grip seal bag keeps your cloth clean, full of anti-fogging solution and ready to use for when you need it most. Extremely portable and convenient for many situations. 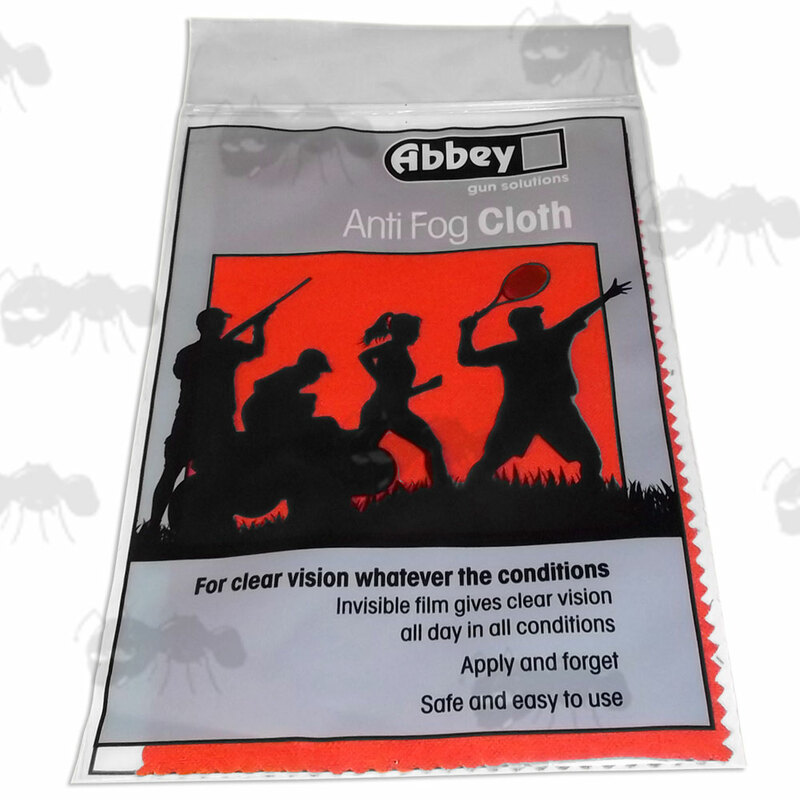 A perfect supplementary product to Abbey's Anti-Fog Spray.